Bob Pohlman, Aaron Williams, Ryan Webb, Michael Muthig. 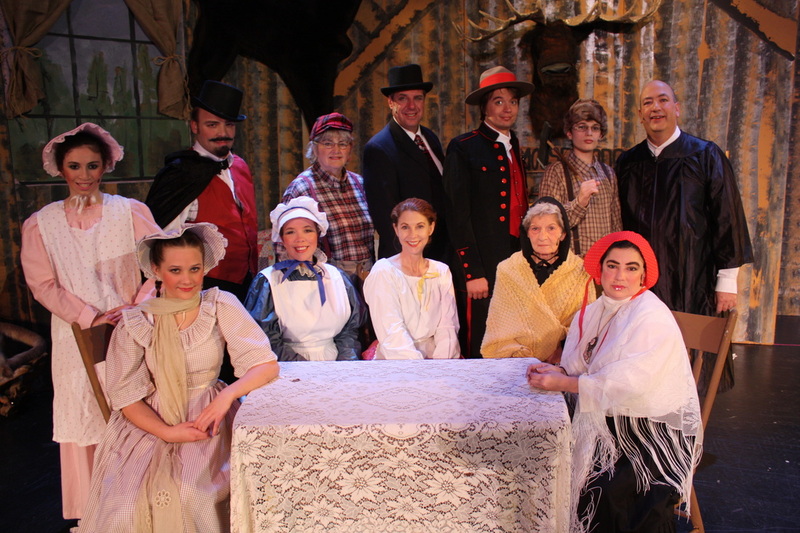 She Was Only Marginally Modest is a melodrama set during the late 1800s at the Dead Moose Lodge. 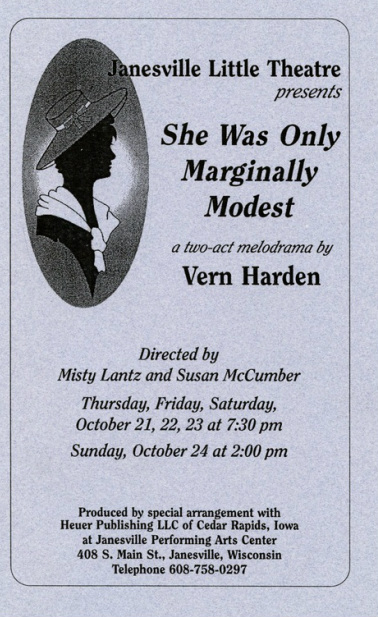 She Was Only Marginally Modest is a very short play, at just over 1 hour long, so to increase the length of the production, Janesville Little Theatre included musical acts at the beginning of each act.